I posit that most people can attain financial independence in less than 10 years and in less than 5 if they are truly determined. I also submit that many people are not willing to make the necessary changes. By cutting all expenses to the bare essentials, I have been able to save approximately 60-90% of my net income thru grad school and my subsequent jobs with an average percentage in the mid eighties. Initially all this money went into a savings account. I mostly attribute this savings rate to reaching my goals this fast(*). My early fumbling into investing are certainly not something worth replicating but quite a few people have asked for it so here goes. In retrospect going for the savings account turned out to be a semi-good idea since I avoided the 2001-2002 bear market. On the other hand I also missed the March 2003 rally. At the end of 2004 I was getting tired of earning 1.5% in my savings accounts. Since I grew up in country where investing in stocks was considered too speculative, I called my bank and told them that I wanted to buy some bonds. My bank directed me to some Baa-rated (as far as I remember) bonds from a company that was financing ships at 3% and I put down $20,000 or about a quarter of my savings at the time. I quickly realized that while $20,000 at 3% was earning $600 a year, the same amount in a savings account was earning only $300. A light bulb went on and I thought that maybe I should start thinking about the return of investments and not just on increasing my investments by saving. Trivial, I know, but growing up in a financially conservative middle class, this was a big step. Contrast and compare to the US where people grow up believing that as long as they put their money in the stock market they are almost guaranteed, nay entitled to get 10% returns on average if they just hang around for “the long run”. Soon I made a program (today I would use a spreadsheet) to predict my net worth. When I plugged in my assets, the return on investment (ROI), and my monthly contribution, it would calculate my net worth for the next 80 years (I expect to live for quite a while). I put in “if”-statements such as “financial independence reached at 4% withdrawal”, “financial independence at 3% withdrawal”, “my first million”, “my second million”, etc. and the program would show which month I reached which stage. It was quite empowering to run the program. I probably ran it twice a day. I knew my net worth down to the cent. One aspect of playing with the program was the ROI. I already had substantial assets hanging around in a savings account earning a measly 1.5%. If I could get 3%, I would double my returns. What if I could get 5% or 10%? At the time I was a young and enthusiastic scientist and pretty much ignorant about business and investments. Basically I was clueless. However, I was quite interested in geopolitics and demographic trends, so I called up my broker again and said I wanted to buy some stock in a company producing insulin (because people are getting older and fatter), a telephone company (I read that it was cheap on several investment sites), a wind power company (Because oil was running out) and a small cap holding company (I liked their dividend). Later I also got an airline company (Random investment newsletter). As you see pretty haphazard! So today when I see people buying some company because they think it’s cool, I try to remind myself about the way I used to buy shares. As luck would have it, most of these positions turned out to perform spectacularly (except the airline) returning more than 30% a year. I sold the airline (smart) and the wind company (stupid) because they were too volatile for me. Of course today I wish I had put all my money in those stocks and not just the fraction I did (about $30,000) at the time. Making these investments increased my ROI. In my program I also had my average estimated monthly investment income as well as my average monthly expenses. Watching these two numbers converge by reducing expenses, saving money and increasing ROI was quite empowering. One important lesson was than if you have $100,000 and a ROI of 5%, then spending 20 hours figuring out how to increase ROI from 5% to 6% is worth $1000 or $50 an hour. I was certainly not getting paid $50/hour in my day job. This meant that dealing with investments was now more profitable than my job, economically speaking. I decided that since I had saved the assets, I should learn how to invest them. My investment story turns out to be complicated by the fact that I was learning more rapidly than the market was moving. Thus within a year I started pulling money out of the funds to start a broker account. I read tons of 400 page books about how to use options to manipulate the return structure. During that year (2006) I matched market returns but at half the volatility and covered my living expenses three times over. In other words, I did as well as the S&P 500 but at half the risk. I also demonstrated (to myself) that it was possibly to turn potential gain into instant cash. Doing covered calls is a nightmare when it comes to filling out tax returns though. Besides, since I could never get the timing right, covered calls did not make any extra money for me. It was time to learn again. Therefore I started reading financial statements and began to learn methods to estimate the value of a company. In particular I started reading financial statements of companies that were not followed by Wall Street. Wall Street is mainly run by banks and big (pension) funds. First, this means that they need to invest billions of dollars which naturally restrict them to the largest companies. Second, if you are in charge of a big pension fund there is more job security in going along with everybody else than being the sole contrarian. If it turns out that you were wrong and they were right, you will surely get canned. If it turns out that you were wrong and they were wrong, you’re safe (who could have known, right). Finally if you are right and they are right, everybody wins. This also means that everybody shares the profits and losses. Conformist portfolio managers with this attitude are essentially charging money for nothing. Since conformity is a common human trait (if I had a dollar for every time I’ve heard “normal people” as a justification for some action) this explains is why index funds are generally superior. There are, however, managers that don’t follow the crowd and they can make outsized returns. Thus my present (2007) strategy is to buy undervalued companies that are generally hated by the market and wait for a turnaround. Once the tide of conformist managers and the blind indexers that follow them come around, I expect to be at the front of the wave. This might happen in 2009 or maybe I even have to wait until 2011. Who knows? Crowds are fickle. Things have changed a lot since I started. I remember celebrating when my investment went up by $2 – “Honey, I earned $2 on the stock market today!”. These days my portfolio sometimes fluctuates by a paycheck on a daily basis and gaining or losing four digit figures is not a big deal anymore – “Oh, by the way honey, I lost/made $5,000 last week”. I sleep well at night. Today I look at myself as “Me, Inc.” instead of “Who Cares, Inc.”. My day job would thus be a way of generating a consistent alpha (time based performance), but much of the my income performance is beta (market based performance) related. Taking control of my own investments has essentially turned investing into a second job for me. I can earn more managing my investments than I could taking on a second (minimum wage) job. This is also why I no longer need a “real job”. 46 users responded in " How I became financially independent in 5 years – Part IV – the investments "
I find that it’s sort of fun to think to myself that I am now rich enough to be able to lose $1000 in the stock market in one day! In addition to the book you have under Currently reading, are there other books that you can recommend to learn more about the investment strategies? @ greentea – I follow the ideas of Graham’s The intelligent Investor, Loeb’s The battle for investment survival, and Pabrai’s The Dhandho investor. But that’s just me. It took me quite a while to figure out what works for my personality and “skill set”. I try not to look at the dollar values at all anymore – just the percentages. The large gains and losses make it difficult to stay on track with day to day frugality. It can be a stretch to convince yourself that you need to save a $1 or $2 when your net worth is changing by thousands everyday. Hahaha. I definitely know what it’s like to become inured to the daily fluctuations of the market. It’s still disappointing when you watch your portfolio lose 5 figures in a week. I love your story. It isn’t easily replicable because most people are not as able to assimilate so much investing information – your science/number skills are being put to excellent use. Also most people are not willing to be as drastically frugal and self-disciplined as you are, even though their extra spending probably adds as much stress as pleasure to their quality of life. Opting not to have children is also an atypical behavior, though certainly one that is good not just for your bottom line, but for the planet’s as well. As a person who maintains a day job, it is odd when my portfolio makes more than I do. But I derive many other benefits from working than the $. I like what I do. Once the novelty of your financial security/prosperity wears off, I predict that you will feel some need to do something more fulfilling in the world. Going up the Maslow scale, people seek meaning from increasingly transcendent connection – spiritual and communal. That’s what my blog is all about. What’s on the other side of surplus and abundance? Being financially secure is a means to an end, not an end in itself. Nice that you’re young and have a good long while to figure it out! @ debbie m – one thing I find even more fun is that people go crazy when they win $10,000 on a game show considering it’s about the same amount I use for a single stock position. Though I must admit placing the trade does get my pulse up a bit. @ kristin – once I got FI the tenacity towards saving definitely took a hit and I got into a “I don’t need to save anymore, and since I have a job I can spend more freely”-mode. I’m getting back on track again though. @ mossysf – So I guess you’re in banking and housing right now? @ benjamin – it’s the price we pay for weeks of the almost uninterrupted joy of daily albeit smaller gains. @ betsy teutsch – I used to derive a lot (maybe all) of my sense of identity from my work and in retrospect I have been naively idealistic. In some sense I am probably still playing with the very real danger of burning out. However, I have started diversifying my sense of [life-]purpose so instead of putting all my eggs (identity) in the scientific basket, I now try to think of myself as a scientist and a blogger and an investor. FI has certainly helped put things in perspective since I have been forced to acknowledge that I really have the choice to do what I want rather than having to live up to certain expectations. Yes, I’ve been buying lotsa REIT and value indexes. Mostly with new money but some with my TIPS allocation that has zoomed up in the last 6 months due to the flight-to-quality. Another good investment book is by David Dreman, Contrarian Investment Strategies: The Next Generation. I just found your blog and love it! Being a math person, I immediately grabbed my calculator and used your formula for time to financial independent to get mine with a savings rate of 40% and got 37.5 years but then I checked on using the standard 15% savings rate since its supposed to be only 25 years but I’m struggling here to obtain the same results. “The standard recommended 15% savings rate results in 25 years.” I’m getting something more like 141 years. Am I doing something wrong? @future millionaire – compound interest destroys the simple approximation. You have to use a financial calculator that handles annuities (it has the symbols PV, FV, PMT, n and i on it) to for longer periods (or higher interest rates or lower savings rates). Alternatively you can find annuity calculators on the net. What advice you have for someone with debt and is married with 3 children? When I got to the paragraph about creating your ROI program, I laughed my head off! You see, you are not alone in this. We had the same thing, in a spreadsheet (grin). We checked it daily and changed tiny percentages to see what would happen. Either we’d run out of money in 10 years, or we’d have billions by the time we were 100. We met our goals and retired six years ago, in our 30’s. We did it because we wanted to sail the world, and we’re currently fixing up a boat. There are many of us in the ocean-cruising community, even some with children. In the down market, we’ve been using inverse mutual funds to our advantage. We’ve learned not to smile so much when the stock market tanks and everyone else is gloomy. It makes us unpopular (laughing). 1. Since the payment is a fixed monthly payment should the return used be an inflation adjusted return. Meaning, the formula is for a 0 inflation environment pre-retirement. I am not sure about this. If it is correct, then 8% seems too high for an inflation adjusted return. 5% might be the equivalent. 2. Also, why use 4% safe withdrawal rate rather than 3%. This is retirement at an extremely young age so 4% would have a high rate of failure. Using 3% swr and 5% inflation adjusted return we have =nper(.05,-.8,0,(1-.8)/.03)= 7.13 years which is considerably longer than 5 years. @Dan 5% inflation is pretty high. 4% (inflation corrected) will last 30 years backtested. 3% will last forever backtested. What you do, however, is to adjust your withdrawals to whatever the market is doing or like I do, simply focus on income instead of total return. Over 5-7 years you can’t really count on your returns and inflation being exactly the numbers you put in. I suspect the sensitivity (derivative) wrt the savings rate is higher than those two numbers. Sorry, I wasn’t clear. I wasn’t talking about 5% inflation rate or a 5% safe withdrawal rate. I was talking about using a 5% return instead of an 8% return in the formula (assuming a 3% inflation rate and an 8% nominal rate). =nper(.05,-savings rate,0,(1-.savings rate)/swr). If I understand the function correctly an inflation adjusted return should be used, not a nominal return. Your calculation of 5 years at 80% savings rate is based (I assume) on using 8% in that function when that function should use an inflation adjusted return, if I understand it correctly – which yields 7.13 years at r=.05, swr=.03 and 5.57 years at r=.05 swr=.04. At a 5% after inflation return pre retirement, a 3% withdrawal rate and 80% savings rate the time to retire would then be a little over 7 years. Basically, I don’t see how 5 year ER math works at <80% savings rate. 4% swr rate gets you a lot closer (5.57 years), but still not there. In fact, it does not seem to work until 85.8% savings rate (r=5%, swr=3%). Thanks. @Dan – Your math is correct (except the 1+nominal=(1+inflation)*(1+real). Consider that over 5 years, you are unlikely to keep the same wage. The returns are unlikely to stay the same (if you expect 5% above inflation, you must be in risky assets which are volatile), the inflation is unlikely to stay the same, etc. My point is that this calculation increases precision but not accuracy. What I would do instead would be to go to firecalc.com and enter your numbers along with how much you expect to have and spend in N years and see if your portfolio survives. That, and definitely do not bet your retirement on an annuity calculation unless you have a really large margin. I can withdraw at around 3.3%, but I still my lifestyle open to other income. I just don’t pursue it as desperate as someone needing a salary. I fact if I don’t earn anything for the next 15 years and then work for 1 year, that’s fine by me. I can easily pump up my nest egg and I can just sit around and wait for opportunities. @Dan – I suspect if you start now at the bottom of the market (or at least so I think it is) and not a year late like me, and if you already earn a good salary, you can probably do it faster than 5 years. If OTOH you started in 2005 and you just got laid off or had to take an income reduction, it would likely take more than 5 years because of the setback of the market crash. Jacob, thanks for sharing your story. How did I end up here? I do not know. I have read your story and to say I am impressed and inspired, is an understatement. It is now 1:34am, and I have spent the last… (time here)… reading your story and all the comments, and it was well worth it. I will take a nap before going to work in 6 hours, because I need to, but I am a changed man! I am truly inspired by your story. I too want to achieve freedom from the routine 8 to 5 job by saving and investing. I am currently 27 yrs old and going to be married soon. We have already combined our finances and have built up a net worth of somewhere between 150k-200k. Together we are able to save around 57% or our net income each year. Yet I have not been able to produce a significant stream of passive income. I have generally invested only in index funds (equity,reit and bonds), but I want to start investing in individual stocks. Would you be able to point to some proven strategies that you have used to become a succesful investor in individual stocks? @summerboy – To become a good investor, you need to read a lot. I recommend starting with the books in this post. 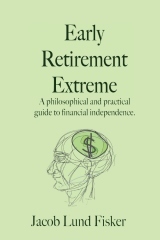 http://earlyretirementextreme.com/2009/08/startup-curriculum-for-finance-economics-investing.html There is generally no strategy that will last forever and so following “proven strategy” tends not to work. I would say try to find a strategy that is compatible with you and one that you believe in enough so as not to abandon it when the market moves against you. I’m curious were you not affected at all by the Oct, Nov 2008 market fall? @boo – I was not affected as much as the market/index as I was not heavily concentrated in financials and real estate. I bought a bunch close to the bottom though. Also I do not rely on a total return approach and so I do not have to sell stock to get an income from my portfolio. Following the discussion above, I wanted to suggest looking more into how the “Safe Withdrawal Rate” (SWR) could be potentially increased. My preliminary research has indicated that through increased diversification (e.g. into bonds and other asset classes not correlated with each other) one might achieve lower volatility without lowering returns substantially. Thus one would be able to increase the SWR without additional worry about depleting assets during bad years. I believe 3% and 4% are only “rules of thumb” and some material I have read has indicated rates as high as 5% might be sustainable into perpetuity. Matched with the variable withdrawal strategy you alluded to, I think this could allow people to become FI faster. @Eric – I think the precision of the SWR calculations is so bad that the real SWR can not be known. I think previous SWR studies indicate that if you throw bonds in there, your portfolio becomes safer but has a short lifespan. This may be even more true for the near future where I expect stocks to linger and bonds to suffer from inflation. One could argue that if you’re a better investor, you could also increase yuor personal SWR — the 4% is merely the SWR for some doing as well as the market but no better and no worse. You don’t get something for nothing! The higher SWR rate studies make a tradeoff – more volatile income to generate a higher initial rate. One of the studies even recommends a 10% drop in income whenever the market goes down. I think most people prefer a steady income, gradually increasing with inflation, to one that has downs in addition to ups. Also, SWR studies for age 50-60 is a little different than age 30-40. You might be able to gamble more at age 30-40, but you also have to be able to recognize more quickly when you don’t have enough and return to the workforce because, you absolutely don’t want to run out when you’re 75 with another 15-20 years ahead of you! i usually read your blog but this series of posts was wondeful to read! i have identified so much with you! i didn’t like robert kyosaki’s book because he undervalues education; i know it is not a guarantee for money but it made me much happier than anything else! for the moment i save money in bank accounts because i do not have a real job to invest more; i still have 2 years for my second college and have to finish the master for my first one. i never valued spending money going out and i’m glad i did; i spent my money on books and Certificates of Deposit since i was in high-school. meantime i got very passioned by robotics and i wouldn’t understand this field at all if i didn’t read a lot which i still have to do. thanks again for taking your time to write this blog! Nice story. Wondering if you decided to retire after 5 years work before deciding to get your PhD, during, or after? Would it have been easier to save the extra 4 years of school if you knew you’d retire instead? Just wondering your thought process. @FS – I decided to retire from my career five years after graduating. I just did not see myself doing the same kind of research for the rest of my life. I was, however, able to do so three years after, but decided to give my career another chance. Moneywise, It would have been better to go out with an undergraduate or even gone to trade school. For me, real estate investing is where it’s at. Putting down no money on a property that’s 100% occupied and cash flowing at the day of closing means unlimited returns. You can hire a property manager so you’re not getting the clogged toilet calls or manage it yourself to net even more. Just like index funds, you’ve got to do your research and have a real passion to keep learning. Even today you can get away with putting $100 dollars down and buy a property with 110% financing. Look at FHA 203k and 203b loans. You can buy one house a year as owner-occupied. If you’re flexible you can keep buying houses with the intent to rent them in a year (look for what is the best investment in your market-probably bread and butter homes). A couple I know owns 33 houses, they manage them all themselves, and they have full time 8-5 jobs!! The cash flow you develop from one property provides you with the money to buy the next (if you even need a deposit to purchase at all). So far I have been really impressed with the returns I am getting (around 8%). I have had no bad debts in the last year despite the economic environment. Worth a go? @Gameplan – In my experience, the debt collection does not work all that well. The rating system is not guaranteed, and doing taxes for multiple loans gone bad is a major hassle. Have you thought about the possibility of moving to a much cheaper country once you don’t have a day job anymore to dramatically lower living expenses? Even if you only wanted to live overseas for 5 years, you could dramatically grow your principal by much lower withdrawls. @Pete – Not currently though I never exclude anything. Besides, it’s pretty easy to find a cheap place in the US as well. This may be more information than you want to share, but at what amount and at what age did you become financially independent? And does this assume you continue to spend at your current levels for the rest of your life? @Chris – Right around when I turned 30. It’s been a while since then, but back then I had around $150k and monthly expenses under $500. I kept working until I was 33. The surplus money means my portfolio is in a runaway mode—I spend less than my passive income and the surplus gets reinvested. I should reach $1M before I turn 50. There’s a huge benefit to starting early. I don’t suppose you ever got around to writing that net worth spreadsheet and have it to publish here? @Robert – It’s better for people to write it themselves with methods they’re familiar with. My first method used a fortran program. I use a spreadsheet now. My wife uses another spreadsheet that she made. They look quite different. It’s hard to write a generic one that’ll fit everybody without introducing a lot of superfluous stuff. It was wonderful. I wanted to learn more. I located the book in the Boston Public Library (hopelessly borrowed out but due to my acute financial stress I must right now severely cut my book money). I found the blog. So much my cup of tea! You do need to live a life based on philosophy. Here was somebody with and imminently practical approach who demonstrated his ability to beat the “rat race” in their own game; who released himself from social security worries and lives more or less “independently” of the system (or rather uses it to his own advantage). Impressive. I will finally learn something of the game of investment of which I keep being so naïve. When I read through I found massive parallelism with my own life story: also an immigrant, also investigating van living to save money, trying varied sustainability approaches to save money (not a success in gardening! ), walking around (avoiding car), using bike for commuting, getting all clothes – and other stuff of value – in thrift stores, …saving massively, not buying on credit, refusing to put himself into slavery of mortgage for car and home to the bank. Making/repairing necessary items yourself, relying only on the bare minimum on “the market”. Applause! But then I found other parallelism which hit too close home. These are the very reasons I consider my own life, at the age of 49, a failure. I even intend to write a book on how THAT came about, to “capitalize” on it, to educate myself and, possibly, gain some insight value out of …a miserable failure. The major peeves: NO PROFESSIONAL CARRIER. NO OFFSPRING. !!! No children: For me a sign of distinct loss of hope for the future. Successful animals breed. The loser is removed from the chain of reproduction. It is now the “whites” that are dying out as a group. With it the whole culture changes: less commitment to the “puritan work ethics”. When individual bearer of a culture goes, withering drop by drop removed, the whole culture dries out and dies out. You are part of a broad suicidal trend that disregards biological imperatives: the very physical continuity of life-stream. No professional carrier: You said you were in a field only five other people in the world had some understanding off. THIS IS OTHER WORDS OF SAYING YOU WERE ON THE CUTTING EDGE. That is where the real and substantial value for general society is created. It is true, it is depressing when you spent your lifetime on something that got sidetracked and did not bear fruits. But on the whole, science is one of few remaining domains a person can make a real difference. Build a nice house? Every average person can do it, if they want. (Soon, robots in factories will do it for you and render you useless.) Having a carrier in top research? By definition, not every average person can do it. You threw your chances of being significant, of being a part of a significant project. You just highlight two major areas of crisis (or change if you want) America goes through. Yes! Hispanics and Afro-Americans (and Muslims! – in Australia they have a term for that: “demographic aggression”) will produce enough children on your behalf. Often, they will come from poor and/or fatherless families. After your group are less than 50 percent changes come, to start with personal security …and to end with Sharia law if the latter other group takes over and its radicalism gets ahead. Yes! Chinese and Indians can happily take over majority of American PhDs. Major Implications for group intellectual property ownership rights… who pays whom. That is who is in charge…and who slaves around. The market wizardry? Yes, clever. You are betting (on and against) stupidity of the average Joe….against the corrupt system of American living that produces diabetes and kills people. You – as an outsider used to a different system – are keenly aware of all what goes wrong here and figured out the way how to get ahead because of it. Like people who were betting against the housing bubble, you also can make your millions – or billions. But the whole economy collapsed! The shameless money rule is the worst scourge that spread from here, the root of evil (to quote the Bible: “the inordinate love of money is root of evil”) What I mean is when rocket scientists do not build rockets anymore, or have any REAL job in RD but instead, for ten times the pay, engineer cunning schemes to trap the “average Joe” and skin them of their money – all those Artificial Intelligence betting machines that learned the statistics of average investment behavior and, split second by split second, gain margin on it. (The headlines: “the demise of the middle class.”) Crafters of opaque devices with back door built in…not just individual “products” but whole culture of deceit. Then the same shameless money buys politicians. By “investing” [with this system] you do NOT create “value.” You learned the ride on other – less cunning, more stupid, and generally unfortunate multitude of – people’s back. There are no real “financial products”. It is a lottery, a casino economy …a zero sum game. In order to win big the multitude of others need to lose a lot. Yes, they are stupid, you say, they deserve it. of course…maybe you deserve to gain money by pointing out the gross inefficiencies of the mass of stupid Joes…maybe that is you “system role”…a virus killing of human populations contributes to the march of human – or other species progress. I do not know…but you definitely do not seem to me that you outran the rat race. You are running a different course – on the track of the system drivers. The race is speeding up, the loops are tightening. To me you have not found THE solution. Sad to see, for my you are the tell-tail sign of a decline (which I see in my own life-story as well): a talented person with no continuation. Huge waste of time, this isn’t realistic for those of us who aren’t making six figures a year. I know about all the back-testing of a 4% withdrawal rate, but that does not take into account cataclysmic events such as a war, an epidemic, or another Great Depression. I’m thinking maybe 20% in gold and a 3% withdrawal rate would be more comforting. Mel is just a good goy who likes being a little slave and dancing to his master’s drum beat. Heaven forbid he give up cable and a $5 coffee every day. Personally I’m giving it a shot. I don’t make but 20k/yr right now but in a couple years I’ll be up to 40k, hopefully 70k 3 years or so into my career. I’m currently living on 10k/yr. 10k savings is pathetic, but when I’m saving 60k/yr it won’t be so bad. I’m still bringing my costs down. By living within my means I’ll be independent in about 6 years, and ready to retire after another 3 or 4 and will play little house on the prairie on a 5 acre homestead. Aquaponics is a miracle for small scale families. Tilapia and rainbow trout are pretty easy to grow. Deer, boar, turkey, and duck just run around in the wild trying to find your freezer. Wild duck is delicious. It seems the biggest trick is not trying to spend every cent you made before the next paycheck comes in. After that things take care of themselves almost.